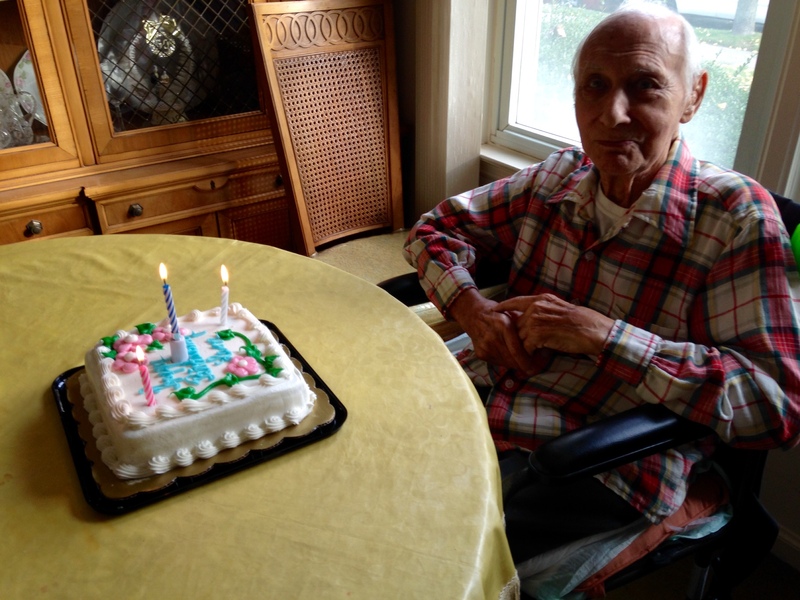 Well, my father-in-law celebrated his 94th birthday and he’s still going strong. Since the emergency call last December, it’s been a year of panic, research and lifestyle adjustments for all parties concerned. It has introduced mortality into dinner conversations, and exacerbated fears of increasing dependency and decreasing presence of mind. Then I read a post in The New York Times Blog entitled “What’s Your Fitness Age?” and realized there is another way to look at senescence. Here’s my new mantra: Forget chronological and focus on fitness age. This concept was developed from a research study connecting physical activity to wellness. Fitness age is calculated by determining your VO₂ max (volume-oxygen-maximum), which essentially reflects how well your body uses the oxygen it breathes in. Although the best way to measure this is through a treadmill test, there is an online calculator to get an idea. Even though it’s probably nothing more than a ballpark, I tried it and am proud to say my fitness age is almost 20 years younger than my chronological age. We can’t control our birth date or the passage of time, but we can impact our fitness age through physical activity. Being an ardent fitness enthusiast and control freak, I find this encouraging. If you try the online calculator, post a comment to share your results. Happy Birthday to your father-in-law, glad he is doing better – the scenario is funny. I can’t do the online calculator, since I have never checked my heart rate right after hiking – my exercise tends to be often but not very vigorous. May look into it though. Feeling fit and young so maybe I should just live with that belief, another way to feel young. Okay, I retook it and let the calculator calculate my heart rate – it said I was 3 years younger. They encouraged more rigorous exercise.